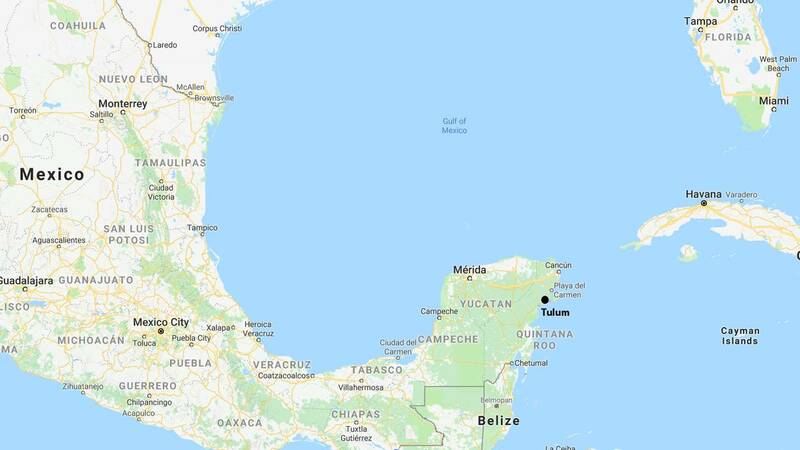 (CNN) - An Iowa family vacationing in Mexico was found dead Friday inside a condominium in Tulum, according to police. The bodies of Kevin Wayne Sharp; his wife, Amy Marie Sharp; their son, Sterling, 12; and daughter Adrianna, 7, were discovered during a welfare check by Mexican authorities at the vacation rental, according to Mark Williams, chief dispatcher for the Creston Police Department in Iowa. A family member reported the Sharps as missing just after midnight, a statement from the police department said. Local police in Iowa made contact with the US State Department before Mexican authorities checked on the family at the coastal Caribbean condo, where they were found dead. Police told CNN affiliate KCCI in Des Moines there were "no signs of traumatic injury" to the family. Autopsies are being conducted in Mexico, the police statement said. Jana Weland, a relative, told CNN the family arrived in Tulum on March 15. They were staying in a rental house they found through a vacation rental company. The last contact the family had with the Sharps was a picture the son posted to Snapchat of his feet by the water that day, Weland said.